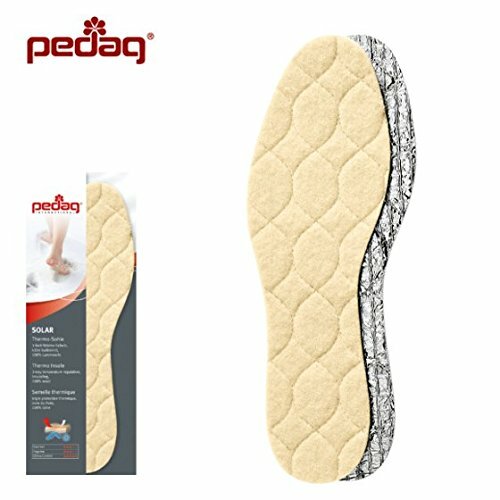 Pedag Solar Wool Insoles The Pedag Solar Wool Insoles are an ideal cold winter insole for both casual, work, and athletic shoes. They can keep the icy cold out of your shoes, leaving your toes and feet feeling nice and toasty. They are a full-length, ultra thin, cushioned insole that is ideal for all casual shoes and boots. They are a popular insulated insole for winter warmth in skiing, snowboarding, and skate boots, too. 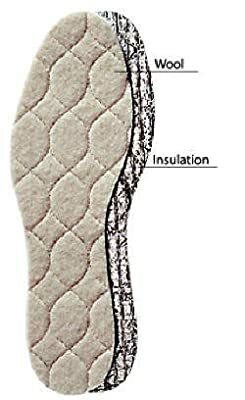 One can compare the Pedag Solar Wool Insoles to the same insulating qualities as a well constructed (insulated) wall. With 3-layers, a quilted 100% pure wool top layer for warmth and coziness, an insulated foam middle core built with a thermal barrier of closed cells, and a reflective (NASA-quality) aluminum reflector shield on the bottom, the Pedag Solar Insoles will keep your feet warm. 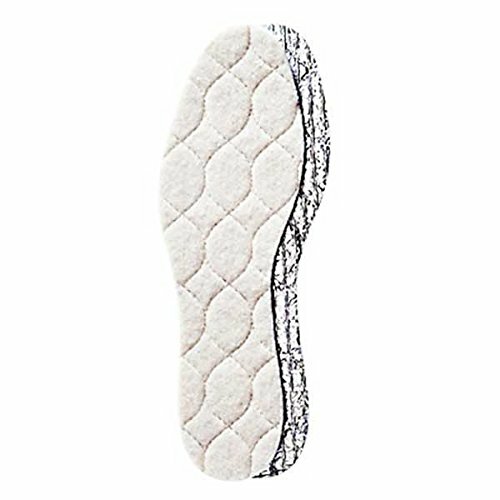 Product Features: Flat cushion insole Full-length footbed Quilted 100% pure wool top layer Closed-cell foam middle layer Anti-skid aluminum reflector shield bottom layer Thickness at forefoot: 3.5 mm Thickness at heel: 3.5 mm Weight: 0.4 oz (Size #40 - Women's 10/ Men's 7) Made in Germany Ideal For: Shoe type: Athletic, Boots, Casual, Dress, Fashion, Flats Activity type: Standing, Casual Arch type: All Arches Item #: PDG-145 For directions on how to trim your insoles to fit your shoes, please take a look at this video.